Last minute foster plea!! 1-2 years and puppies (< 4 months). They are 3.5 months old and we need to get them out of there!! One is so shy and scared!! We need your help!! In order to bring them up tonight, we desperately need foster homes for them!! Please let us know ASAP if you would foster 1 or 3 of these babies. 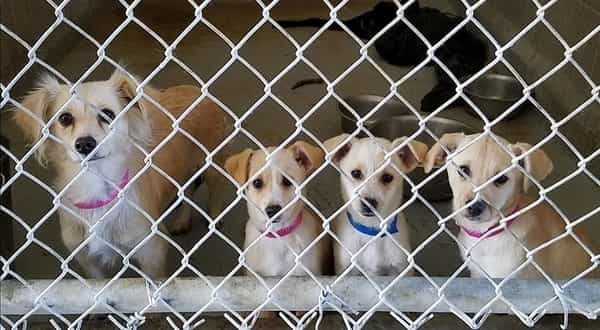 0 Response to "Terrified Jill and 3 puppies desperately need forever home"